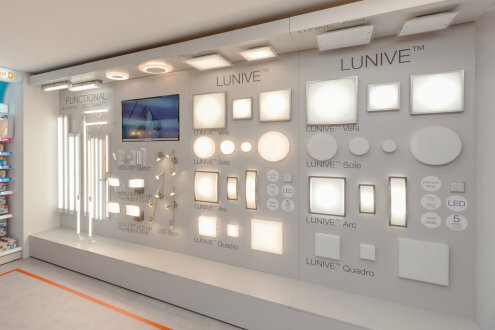 The future legally independent company of 'Ledvance' and currently the Lamps business division of Osram will be focusing on even more products for end users. 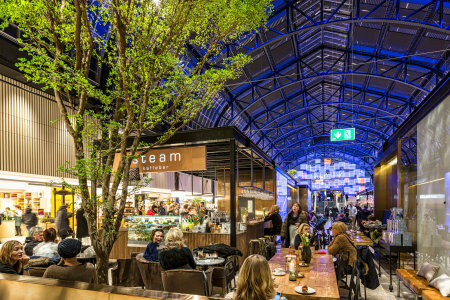 This is underlined among other factors by 60 new luminaires to be offered for the start of the 16/17 lighting season in the retail market volume segment. Customers are offered outstanding price-performance ratios with the wall luminaires, ceiling luminaires, spots, downlights and inspection lamps as well as timelessly modern designs and proven quality. As part of its new retail luminaire portfolio also to be available via consumer markets from the 16/17 lighting season, Ledvance will offer the Lunive, a high quality wall and ceiling luminaire range featuring real glass – the total of 30 LED luminaires bear the Osram brand, will be produced in Europe, have an elegant, Italian design and are available with warm white or neutral white light colour to choice, in three different shapes and sizes, with luminous flux levels between 400 and 1,500 lumens and a rated service life of up to 50,000 hours. Thanks to high product quality, Osram offers a five-year guarantee on the complete Lunive range for the first time in the volume market. Ledvance bases the designs of the spots and downlights for the retail channel on a combination of luminaire and light source – all-glass LED retrofits with a 2,700 Kelvin light colour, a GU10 base and a beam angle of 120 degrees. This makes the lamps easy to replace at the end of their lifespans. With rated power of just 3 watts at 230 lumens, they are an energy-efficient one-to-one replacement for 35 watt high voltage halogen lamps no longer allowed to be brought to market in the EU from September 2016. The TubeKit+ isn't just a highlight for handymen: The highly functional inspection lamp with diverse uses consists of a 60 cm-long LED tube that thanks to its adjustable bracket can be used as both an upright light source as well as a wall and ceiling luminaire with individually settable angle. This means it emits light precisely to where needed and always ensures glare-free lighting thanks to its pivotable bracket. Ledvance is initially upgrading the Osram retail luminaire portfolio for indoor applications to the next generation with these and further models. New luminaires and so-called 'gadgets' are also being planned for outdoor areas for the 17/18 lighting season. For more information about the future Ledvance range of products, see www.ledvance.de.